This beautiful three bedroom, 2 bathroom luxury condo in the cool pines sits far from busy roads and is perfect for one or two families. A separate entrance and kitchenette is available in the expansive master suite. 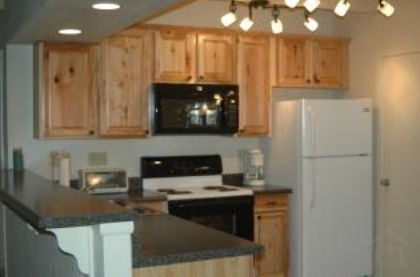 The beautifully updated kitchen is fully equipped with everything you need for cooking your favorite meals. The wood-burning stove provides cozy comfort for cool nights year-round, and being on the ground floor keeps the unit cool, even in summer. The extended patio has a gas grill and plenty of seating for outdoor entertaining and relaxing. Two bedrooms have queen beds, and one has a double/single bunk bed and lots of toys for the little ones. The large master bedroom offers a sitting area with a wonderful view of the wooded landscape and has its own small cable TV and full private bathroom. 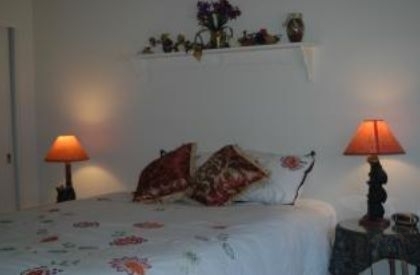 It also has a small futon in the large master closet that comfortably sleeps a child or small adult. Of course, cable TV, telephone, VCR, wireless internet and a selection of DVD movies are available for your use and enjoyment. 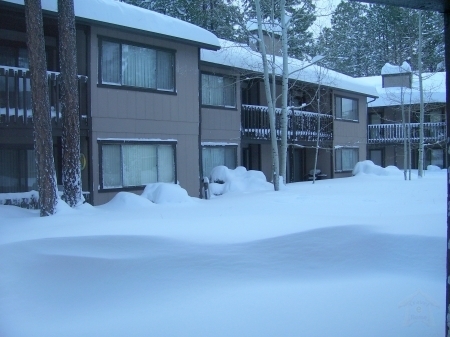 Shopping in Pinetop is just 5 minutes away, and the Hondah Resort and Casino is even closer. Forest Service trails and golfing at the Pinetop Lakes Golf and Country Club and within easy walking distance. Sunrise Ski and Park Resort is just 30 minutes away, and provides year-round beauty and entertainment outdoors. Maximum 7 guests. All HOA rules & regulations apply. Pets allowed on a case-by-case basis. No smoking. Quiet hours 10:00 pm - 08:00 a.m. Cool mountain air in the Ponderosa pines of the Mogollon Rim in Central Arizona. 3 hours from Phoenix, 4 hours from Tucson, 2.5 hours from Flagstaff. 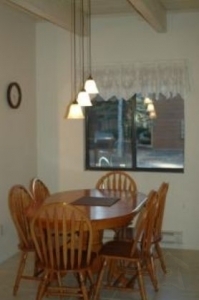 7000 ft. elevation; easy access to many outdoor activities all year long. Skiing, sledding, golfing, hiking, biking, and horesback riding all within 30 minutes. 1 mile from National Forest. East on Hwy 260 from Show Low about 12 miles; North (left) on Buck Springs Road for 0.7 mile; Right on Fairway Dr. (entrance to Sports Village III). Park on left at corner of Sports Village Lp. Bears in area - do not venture out late at night alone. Any, but summer & fall are superb.